The hotel boasts a fantastic location, surrounded by greenery and a stone's throw from the Cinque Terre National Park. The nature that surrounds it makes this unique and exclusive place for your holidays. Located in the center of Corvara, a historic village in Liguria, 5 Terre Backpackers is only a few kilometers from the coast of Monterosso, the only one of the five villages that has wide beaches. The Cinque Terre National Park is an undiscovered paradise for lovers of relax and movement outdoors. Inside the hostel offers 2 comfortable private bedrooms for 2 people,, one dorm with 4 sleeps and one with 6 sleeps. On the ground floor, in the breakfast room, you can enjoy our base breakfast. Outside, the large patio is the meeting place where you can participate in the various events organized by the hostel: a spaghetti dinner or just chat with friends next to the fire. Our hostel has 4 brand new rooms. A 6-bed room and a 4-bed room. Two private rooms with possibility of extra bed. All rooms have parquet flooring, lockers and reading light. Our hostel has a 7 day cancellation policy. Failure to cancel a reservation within this period will result in a penalty equal to the cost of the first night. We kindly ask you to inform us in any case on what is your mean of transportation to reach our structure so as to make it easier and functional the management of the shuttle bus service to the benefit of all guests. If you need we offer a free shuttle bus service: the evening you will arrive we take you from Monterosso to the hostel and the day after from the hostel to La Spezia train station (the journey takes about 20 min). The shuttle bus service is included in the price of the room and is available every day. PAY ATTENTION: it's not a public service, so YOU HAVE TO RESERVE before your arrival. Let us know what time you will arrive and we will reserve a spot for you on the first ride possible. PICK UP SERVICE FOR THE FIRST NIGHT OF YOUR STAYING IS ONLY IN THE EVENING (6:00pm or 7:30pm) RIDES ARE NOT FLEXIBLE!!!! Meeting point is at Stella Marina Beach Bar. You exit Monterosso train station, turn right and walk 100m. The bar is by the beach. 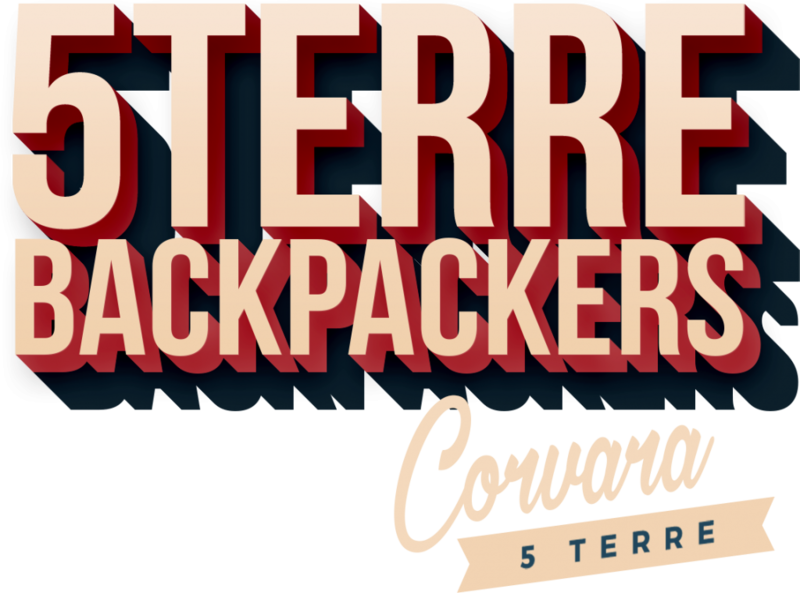 Contact us by email info@5terrebackpackers.it o chiamateci al numero +39 3896741163 per prenotare questo servizio. If you need to store your bags there is a private laundry near by the meeting point that provide this service. They are a different business so they will charge you something for the service. Take Via Molinelli and just before the supermarket turn on your left. The laundry is there and they can help you!! !